What I love and hate about each Doctors era. Everyone has an idea about how their favourite Doctor is. My three faves are Jon Pertwee, Tom Baker and Matt Smith in that order, the rest I would rank equally. However I often wonder how many people actually prefer the era of a Doctor to the actual Doctor. After all there is only so much an actor can do with a shoddy script. It surely can be no coincidence that Colin Baker who was handed some of the shoddiest scripts and was the Doctor at a time when its reputation was beginning to dip is sadly one of the least popular Doctors, whilst Tom Baker and David Tennant, both of whom came at a time when the scripts were overall of a much higher quality and when the show was one of Britian’s most popular series are among the two most popular Doctors if not the two most popular. Of course harsh critics of Colin would say the show was only so unpopular because of Colin’s Doctor, but I don’t think that’s fair. I’d say Colin was as good an actor as any other Doctor, including my three faves and the proof of this is the fact that when handed material that was worthy of him in the Big Finish Audios he was every bit as popular as any other Doctor. He was even voted the best Audio Doctor of them all. How can that be however that the same Doctor was apparently the worst one on television, yet unquestionably the most popular incarnation on Audio? Simple, because its not the actual Doctors that are ever really the problem. That’s not to play down their contributions, but an actor can only do what they can with a script or indeed a set of scripts, and in this article I will be taking a look at each Doctors era and what I disliked and liked about each one. I will be looking at each Doctor’s era in ways that aren’t anything to do with them. The types of stories they were given and the supporting characters, companions, villains they were associated with. I will be assessing what I felt worked and didn’t in each Doctors time and why I felt certain era’s have been more popular than others, again in a way that has nothing to do with each Doctor. Hopefully this article may make you think about each Doctor differently. In the past it may have been because a Doctor was associated with a particularly poor run of stories that you disliked him. Of course I am sure many of you will have just disliked a particular actor in the role anyway and even perhaps have felt the opposite that he let down what could have been better stories. Greatest variety in settings of any Doctors era/ Many other Doctors stories tend to take place on earth. Some like 10 and 3 take place largely in the same period of earth’s history, the time it was being broadcast in or near enough. Even other Doctors era’s largely take place on earth too however. Like look at the 7th Doctors era. His entire last season takes place on earth even though the stories are mostly set in different time periods. With two stories still taking place in the 1980’s. The First Doctors era however has a huge variety in settings. We visit so many alien worlds, space stations and even the stories that are set on earth, there is a much greater variety in time periods. There are only two stories that are set largely on then modern earth. Thus in this respect I feel the first Doctors era really used the potential of Doctor Who’s premise about a character who can visit any planet at any point in its history and thus go anywhere better than any other era. Historical stories/ The historical stories were sadly never that popular among the viewers and thus were phased out by the start of Troughton’s era, with Troughton only having one historical story. I think this was a shame as the Historical stories were always very interesting and indeed stopped the show from falling into a formulaic monster of the week type of series. Some of the very best most intelligent Doctor Who stories ever made are actually Historical such as “Marco Polo” and “The Crusades”. The Companions/ The first Doctor did have some poor, forgettable companions such as Dodo, but still the companions of his that were great were among the best the show ever had. Ian and Barbara were truly fabulous characters, with Barbara being in my opinion the greatest companion in the entire history of the series and also in my opinion a truly underrated feminist hero. The Daleks are handeled brilliantly here. “The Chase” aside they are cunning, menacing and dangerous like they should be. Though they are used frequently its not a problem here as the creatures were still fresh. Thus each story, even “The Chase” brings something new to their characters and mythology, with “The Chase” establishing their ability to time travel and also their feud with the Doctor. Stories that are more personal and less grand/ This is a problem I have with the new series, that virtually every story has to be the fate of the earth, multiple worlds, the universe or every universe at stake. Obviously Who now and again should have stories that deal with a large threat and there are plenty in Hartnell’s time. “The Dalek Invasion of Earth” see’s the Doctor save us from the Daleks whilst “The War Machines” and “The Ark” see’s him save us from WOTAN and the Monoids and “The Daleks Masterplan” see’s him save the entire universe from the Daleks time destructor. However unlike the new series many stories are small in scale. The historical stories for instance simply revolve around the Doctor and his companions being in trouble as do other stories like “The Celestial Toymaker”. Even the Dalek stories are not all “the fate of the universe” , look at “The Chase” the Daleks are only after the Doctor and friends. To me this gave the stories a greater variety and also it made them seem less ridiculous. After all it does seem a bit far fetched even for Doctor Who that the Doctor always lands in exactly the right place when a monster is about to eradicate every planet in the universe. You don’t run into that problem in the Hartnell era however. Leading actors leaving the show at random/ This in all fairness is a problem with 60’s Who overall, but I think its worse in the Hartnell era. 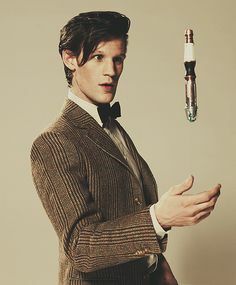 Often a leading character including even the Doctor himself will not appear in multiple episodes of a serial because the actor playing them will be off on holiday. Stories that are affected quite badly by this include both “The Keys of Marinus” and “The Time Meddler” Obviously as you can imagine this does affect the stories in quite a negative way, suddenly having to write out a main character. Too ambitious/ Some Hartnell era stories suffer from trying to do much. In all fairness a lot of Classic era stories suffer from this, but I think Hartnell’s sadly is the most affected, probably because they didn’t quite know their limitations yet. One only has to take a look at “The Web Planet” a serial which is actually a good idea, an excellent idea even, but is far too ambitious a story on Who’s budget and sadly the results are quite frankly laughable. Enemies and Monsters/ This is the era the Doctor really gets a rogue’s gallery. In Hartnell’s time his only main enemies were the Daleks. There were attempts to give him other major foes like the Mechanoids, the Zarbi and WOTAN, but none of these characters caught on. The Meddling Monk meanwhile was more of a nuisance than a major foe and the Cybermen, though introduced in Hartnell’s time appeared only in his final story. Thus the First Doctor really had to rely on the Daleks in terms of having recurring enemies. Troughton’s era however was able to move away from the Daleks and allow other monsters a chance to shine. The Cybermen, the Ice Warriors and the Yeti all flourished in Troughton’s era and as I said by the end of his time it felt like the Doctor now had a rogue’s gallery rather than just one villain the Daleks all the time. The Daleks/ I think the monsters may have been at their best in this era. Its hard to say. “Genesis of the Daleks” is their best story, but the Troughton era is certainly a high point for them as David Whitaker reinvents them like never before and adds a lot to their relationship with the Doctor and their characters overall. The Cybermen/ This is certainly when they were at their best. Here they are portrayed as genuinely emotionless creatures, almost like cybernetic zombies. 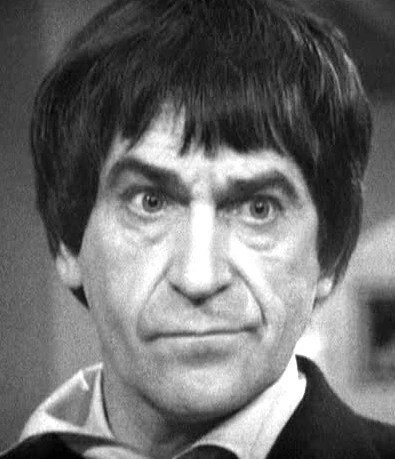 The Second Doctor also has arguably the best Cyberman stories as well “The Tomb of the Cybermen” and “The Invasion”. The Companions/ The Second Doctor had consistently good companions Ben and Polly (whom he had inherited from William Hartnell), Victoria and Zoe and of course Jamie one of the all time greatest companions of all. He was also the first Doctor to meet the Brigadier. Too many base under siege stories/ There were definitely too many of these types of stories in the Troughton era of a monster just attacking a base and it sadly made his era seem much more formulaic than the Hartnell era overall. Too many stories set on earth/ Again unlike Hartnells era, there were fewer stories set on alien worlds in Troughton’s time. Almost all of season 5 is set on earth for instance, though there is greater variety among the periods on earth at least its still more formulaic again in terms of its settings than Hartnell’s era was. The Supporting Characters/ The Third Doctors era is really the first time they tried to give the Doctor a “gang” or a “family”, the UNIT family. This would be replicated in future era’s with Jago and Litefoot, the Children of Time and The Paternoster Gang and even to a smaller extent Kate Lethbridge Stewart and Osgood. Though UNIT was technically introduced in the Second Doctors era, it was really in 3’s time that they came into their own. UNIT would be much more fleshed out in the Pertwee era and we got to see how they function much more clearly. Such was their success that even with the introduction of other popular supporting characters we still always sooner or later return to UNIT. The Master/ This was when the character was at his best in my opinion. Delgado’s charming, sly and dignified character is worlds away from the buffonary of Missy and is one of Who’s all time greatest rogues. More action packed stories/ Whilst I did enjoy the more low key stories of Hartnell’s era I also loved the greater sense of adventure in Pertwee’s time too. Pertwee’s era is really the only time you can buy the Doctor always being there at the right time as he is now working for an organisation whose job is too track down alien threats. Certainly there is more action and excitement in a lot of Pertwee era adventures , more car chases, hordes of aliens marching down the streets being shot at by UNIT troops. The overall excitement is much greater. The companions/ Pertwee had only 3 companions, but they were among the best in the shows history, Jo Grant, Sarah Jane and Liz Shaw. Also the fact that there was only one companion with the Doctor I think allowed him to develop a closer bond with them somewhat than when there were lots of companions. The Brigadier/ Even though this technically could be grouped under UNIT and companions I think that the Brig deserves a special mention. He is at his best here, we are taken much deeper into his character and even see some darker sides to him in Pertwee’s time. In The Silurians we see him slaughter an entire base full of the creatures, whilst in “Inferno” we see an evil alternate version of him The Brigade Leader. I would actually rank the Brigade Leader as Nick Courtney’s greatest ever performance. Though the Brig would always remain a true Who icon, the Pertwee era was when he was at his best. More morally grey stories/ Now from its very beginnings Who was not afraid to tackle serious issues like genocide and race hatred and body horror. However still I feel it was in the Pertwee era where we started to get stories where the villains weren’t always just bad guys and things weren’t just simple black and white. 60’s who was no pun intended very black and white in terms of morality. The Daleks, the Cybermen, the Yeti and the Ice Warriors are all evil through and through. In Pertwee’s time we have villains like the Silurians and races like the Draconians who are exactly like us capable of being both cruel and kind. Then there are also examples of good people doing bad things like The Brigadier destroying the Silurians and Mike Yates betraying everyone in “Invasion of the Dinosaurs”. Pertwee’s era definitely had more complex stories than his predecessors. Overuse of the Master/ Even though Delgado is the best Master in my opinion, they do still definitely overuse him far too often. Too many earthbound stories/ Obviously this is the biggest problem with Pertwee’s era the fact that there are too many stories set on earth. Though they did work around this problem quite well it did limit the types of story Pertwee’s Doctor could have. All invasion earth stories with the occasional journey to another world. Gone certainly is the variety of Hartnells era. Its somewhat dated/ I think being set on contemporary earth more than other era’s has caused the Pertwee era to look and feel somewhat more dated than many others, though not to the same extent as the new series, but still more so than many other classic era periods including even the earlier Hartnell and Troughton era’s. Far more terrifying stories/ Though Who could always be scary, it was definitely during this time when Holmes and Hinchcliff were in control that the stories started getting darker and indeed many villains who had been in the show for years were a lot more scary in the early Baker era. The Daleks for instance are far more frightening in “Genesis of the Daleks” than they had been in the Pertwee era. In the Pertwee era they were almost stock villains, but Genesis really takes us into their hatred for other life forms more than ever before and returns them to their roots as powerful allegories for the Nazi’s. Similarly the deformed Master is far grittier and nastier than Delgado’s charming, gentlemanly villain. Though Delgado is still my favourite, the deformed Master scared me much, much, much more growing up. That image of his face on the grandfather clock will haunt me forever. Even the Sontarans are a lot scarier here as well. “The Sontaran Experiment” shows a much nastier side of the creatures than their previous appearance in the Pertwee era. Linx was a somewhat likable, charming villain where as Styre is brutal, gestapo officer type of villain in comparison. Stronger roles for women/ Now I don’t think Doctor Who was ever really sexist. Indeed as I have pointed out Barbara Wright the very first female companion in the series is really an unsung feminist hero. However sadly there are examples of vintage 60’s and 70’s sexism in the portrayals of some other companions such as Jo Grant in particular. However I think that it was really during Tom’s time that the damsel in distress type of companion was completely abandoned. All of the female companions in Tom’s time are strong and capable. There is Sarah Jane a strong willed investigative Journalist who later proved capable of holding her own series, Leela a badass warrior who knifed Sontarans, Romana a time lady who was in some ways even more intelligent than the Doctor, Nyssa a genuis mathematician and finally Teegan a strong willed gobby Australian. All of the female characters during 4’s time were very strong and very memorable and well fleshed out characters. Greater variety of settings/ After the Hartnell era, Tom Bakers time definitely see’s the greatest amount of visits to alien planets and other periods. Some seasons see no visits to contemporary earth at all which is very refreshing after the Pertwee era. Its not reliant on old enemies/ The 4th Doctors era proves that Doctor Who does not need to have old enemies constantly return to support it. It was one of the most successful among both the general pubic and the viewers yet it also had very few of the Doctors old enemies returning. The Master appears 3 times in 7 years, the Daleks twice and the Cybermen once! Makers of the new Who should take this into consideration. Too much humour/ This is a problem with later Baker stories. I am no opposed to their being any humour in Doctor Who, but it should never bee overwhelming like it was in season 17. Whilst earlier Baker stories may have made certain villains scarier later ones made them seem like bumbling clowns in comparison. Not as bad as Missy, but still look at how the Sontaans are portrayed in “The Invasion of Time” and the Daleks in “Destiny of the Daleks”. More tension/ This was a bit of a problem in later stories during the Baker era, that the Doctor was too powerful and thus a lot of tension went out of them. In Davison’s time the Doctor however was more fallable and even lost a companion for the first time in decades and thus the tension of these stories was much, much greater. Stronger story arcs/ The Davison era was not the first to try story arcs, but personally I felt it did it better than other era’s of the Classi Who. The Black Guardian trilogy are among my favourite stories in Classic Who’s history. More serious science fiction stories/ I think after the more facical later Baker stories, the Davison era saw Who’s credibility as a serious science fiction series return. Stronger continuity/ Now this might sound like a contradiction from what I said I liked about the Baker era that it wasn’t reliant on past enemies as much, but its not. I don’t mind old enemies and friends returning now and again just not all the time. The Davison era did rely on many things from the past a bit too much at times like the Master, and also its worth noting that in Mawdryn Undead it is responsible for the biggest continuity blip of all time. Still the Davison era for me managed to create a greater cohesion among the different era’s of Doctor who than any before which often tended to ignore what came before. Overuse of the Master/ Anthony Ainley was an excellent Master, but sadly he was overused and often forced to appear in stories that reduced the Master to an almost pantomime villain. Too many companions/ The Fifth Doctors era suffers from there being too many companions in his first season. Added to that one of them is Adric! Poor special effect/ This might sound odd considering classic Who’s effects were often quite poor, but I think the Davison era is the worst offender. I think its because much like the Hartnell era it was too ambitious and tried to do things like giant snakes and underwater monsters that looked simply dreadful on screen. Darker and bolder stories/ Some people see this as a fault, but I don’t I think the 6th Doctors era represents a time when Doctor Who in spite of its faults was beginning to branch out and do more daring things that it never would have dreamed of doing in the past. Revelation of the Daleks deals with cannibalasim and even implied necorphillia. The Rani/ The Rani is one of my favourite villains a truly memorable character who served as a brilliant contrast to both the Doctor and the Master. Bleaker solutions to stories/ During the 6th Doctors era there were often no easy answers and things often did not have as happy an ending as in other doctors era’s. Nicola Bryant/ I feel the need to make a distinction here between Bryant and Peri. Bryant is one of my favourite actresses in Who history and she played brilliantly off of Colin’s Doctor. Sadly however the writing let her down hugely. Overload of continuity references/ Again like I said before nods to the past are fine if they are done in moderation, where as they went overboard with them in Colin’s time. “Trial of a Timelord”/ Now I actually don’t dislike “Trial of a Timelord” as a story, but I think the fact that it takes up so much of Colin’s time is bad as anyone who doesn’t like his story will be put off one year’s worth of stories, which considering he only has two is a bad thing. Sexism/ This is the only time I think Who was genuinely sexist. For some reason John Nathan Turner wanted the female companions to be girly and wimpy, against the wishes not only of Nicola Bryant and Bonnie Langford who played them, but also Colin Baker, Eric Saward and the fans. Sadly however JNT went ahead and did it anyway and we got in Peri and Mel the two most sexist companions in the shows history. Story arcs/ I felt that the story arc of Ace being manipulated by Fenric was brilliantly done and also very influential on the new series. Ace/ Definitely one of the all time greatest companions of either the revival or the original series of Doctor Who. Mixture of fantasy and science fiction/ One of Who’s greatest strengths I feel was the way it blended science fiction and fantasy concepts. However sadly in its later years I think it got away from that somewhat and became more of a straight forward sci fi show. McCoy’s era however blended the sci fi and the fantasy again to great effect. Fenric and “Battlefield” feature Demons, Vampires and ideas from Norse mythology, “The Greatest Show in the Galaxy” features werewolves and Gods, whilst even “Survival” features a more fantastical idea of a planet possessing people and appealing to their darker urges and being shaped by their characters. More focus on the companion/ Again I feel that this is another area where the McCoy era was influential on the New Series. Ace was considerably more fleshed out than the previous companions. We saw her home, her mother and even her grandmother and friends. She was a very well developed character. The earlier McCoy era stories are a bit too comical. Indeed sadly almost all of season 24 feels like a cheap pantomime. The Daleks/ Skaro’s finest were at their best since the 1960’s in this bloggers opinion. Davies really brought them back with a bang and made them a legitimate threat again after years of being overshadowed by Davros. RTD’s Daleks were unstoppable monsters one of whom could slaughter hundreds of people. They had destroyed the Doctors home planet and thus things were more personal between them and the Doctor than it had ever been before. Companions/ 9 had only a few companions, but fortunately they were among the best, Adam aside. Rose Tyler and Captain Jack Harkness, who later got his own series. Though some classic fans may have felt Rose overshadowed the Doctor I don’t think there is any denying that Rose is at the very least one of the most iconic characters in Doctor Who’s long history. Fleshed out companions/ Russell T Davies’s companions were more fleshed out than the majority of the classic era companions. As a result of this her relationship with the Doctor was much more well developed too than the majority of classic era companions were with their Doctors. Peter Davison who played the Fifth Doctor even remarked on this saying he felt that Rose marked the first time a companion was actually allowed to develop. Too many stories set on modern day earth/ Not since the Pertwee era has the doctor been confined to one period on one planet for so long. Just as with Pertwee’s time this limited the types of stories Eccleston’s Doctor could go on. Too much humour/ This was an even bigger problem than in the later Tom Baker years. Some stories in Eccleston’s era felt like a farce with farting aliens, burping wheeley bins, pop music in the year five billion and worst of all the Anne Droid oh god the Anne Droid! Greater emotional content than before. Many felt the emotion in Tennant’s era was over the top and I can understand that, but for me it worked most of the time. “I don’t want to go” aside it was often very effective and some of the scenes from 10’s era are among the most moving in Who’s history. Ten and Rose on the beach, Donna’s memory being wiped, even the Doctor crying over the Master’s corpse, these are all very emotionally powerful moments that you remember very vividly afterwards. Daleks/ Again the Tennant years I felt really beefed the Daleks up as the Doctors main enemies. They were behind every nasty thing that happened to 10 such as losing Rose and Donna and the Meta Crisis. They also thrashed his other enemies like the Cybermen, the Pyrovale’s and even the Master who flees to the end of the universe to escape them. Also look at Sarah Jane, Captain Jack, Martha and Rose’s reactions to them in “The Stolen Earth”. Its hard to imagine any other villain conjuring up as much fear in that moment. Also in “The Stolen Earth” they present the biggest danger in the entire history of Doctor Who at that point, they threaten every universe. The Daleks have literally never been more powerful than in the Tenth Doctors era. Companions/ I think its fair to say that the Tenth Doctor has the most iconic set of companions since the Fourth Doctor. Rose, Martha and Donna Noble all wonderful characters and probably the most popular of the new series companions too. Then of course he also had past favourites like Captain Jack and Sarah Jane Smith too. The Children of Time/ Okay this might seem like I’m repeating myself again as technically they are his companions. Still I think its important to mention that the Children of Time were really the first attempt in the show itself to give the Doctor another “family” or “gang” of supporting characters since UNIT in the 1970’s. Jago and Litefoot had never appeared again after their first appearance in the show itself only in spin off material. Thus the Children of Time I feel were a very good attempt at trying to recapture some of the UNIT magic, but without copying it and they have proven to be very popular as well. Darker stories/ I don’t think Davies gets credit for being one of Who’s darkest writers. Not a single season finale in the Tenth Doctors era has a happy ending. 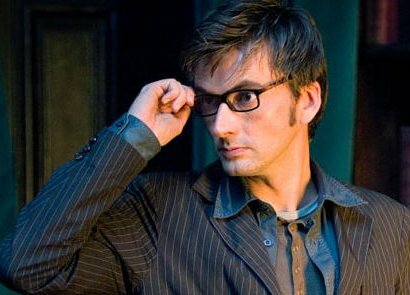 Poor old David Tennant goes through the hardest time of any Doctor, he loses the woman he loves he discovers that one member of his kind has survived, which should be a happy occassion for him. Unfortunately its his worst enemy who tortures him for a year and nearly kills him. He then the following year not only loses his best friend, but is forced to wipe her memory. Finally after all he goes through he is killed by something so simple as not being able to open a door, and worse it is because of another close friend, someone whom he had even looked on as a father! Ten’s run of stories though full of fun and adventure is also a very dark and bleak time for our favourite time lord. Pop culture references/ Sadly the Tenth Doctors era is already probably the most dated. Russell T Davies stuffed it full of pop culture references. Though the ninth Doctors era does have the single worst reference in the Anne Droid, sadly they are more frequent in 10’s time and compromise his era quite badly. Too many earthbound stories/ Much like 9 and 3, 10 suffers from too many stories set on modern day earth. Though of the 3 of them he does at least have the most stories on far away planets. His last series in particular has a nice variety of alien worlds and different time periods, but still he does suffer from too man stories on the Powell estate or in Martha’s and Donna’s house’s. The fairy tale feel of the show/ I felt Moffat took Who back to its roots here and blended not only the fantasy elements with science fiction but also more surrealist aspects too. Doctor Who at its very core is a surrealist series, an idea about a man travelling through time and space in a police box. Moffat for three years gave us stories that were genuinely crazy and more offbeat than ever before, but yet still managed to make sense. More focus on Time Travel stories/ Steven Moffat I think its fair to say made use of the fact that Doctor Who is a series about time travel. 11’s era featured more stories about paradoxes and the doctor meeting people out of sync with his own time line. Apart from a few stories such as “Day of the Daleks” ironically I don’t think Who had ever used the time travel aspect quite so prominently as before. It had only really been used as a plot device to get the Doctor somewhere for an adventure that would focus on something else, where as more of 11’s stories tended to focus on time travel itself. Seeing the Doctors many enemies meet/ Moffat did more stories where we would see the Doctors many enemies encounter one another. I really enjoyed this as it almost felt to good to be true. Its like when you are a child and you think wouldn’t it be cool if all the badguys met, but you know it would never work, yet Moffat somehow was able to make it work in stories like “The Pandorica Opens/ The Big Bang”. Moffat wasn’t the first to have the Doctors enemies meet. The Master encountered the Daleks as far back as the third Doctors era, whilst in the Tenth Doctors era the Daleks and the Cybermen memorably clashed with one another. However Moffat brought them together in much more unusual and creative ways. For instance he had a Sontaran and a Silurian team up and help the Doctor battle the Great Intelligence, he had races that you would never have expected to see together like the Daleks and the Silurians share the screen. I felt having the villains all meet each other helped to create a feeling of a larger shared universe that Who had never really had before. The Paternoster Gang/ I found all of their stories to be very enjoyable and they marked yet another “family” for the Doctor, however unlike UNIT or the Children of Time this family was set in the distant past which allowed them to do different kinds of stories rather than just the usual invasion earth that UNIT and the Children of Time were often involved in. The Ponds/ Personally I loved Amy and Rory, with Rory being among the strongest male companions in the entire history of Doctor Who. Their relationship was very well developed and moving and the journey they went on with the Doctor was one of the most interesting. Too many attempts to retcon the past/ This sadly is a trait of Moffat’s that’s only gotten worse as time has gone on. Moffat over the course of the 11th Doctors era, wiped the entire Russell T Davies era from canon, inserted an unseen Doctor, made the meta crisis count as a regeneration, retconned Clara into being the hero of every story from every doctors reign and made her the person who informed him of which TARDIS to steal, as well as making the Doctor no longer responsible for destroying Gallifrey. Whilst I haven’t minded all of these changes (such as making the Doctor save Galifrey) Moffat’s constant need to rewrite the past has made 11’s time more controversial and polarising among the fandom than it needed to be. Overuse of the villains/ Whilst I do like the fact that Moffat has brought a lot of the villains together and allowed many of them a chance to meet, at the same time he has also overused many of the Doctors enemies. Take for instance the Cybermen who popped up quite a lot in 11’s time, but really only had one story where they were presented as a genuine menace “Nightmare in Silver”. Other times it feels like they have just been brought back for the sake of it like “A Good Man Goes to War” where they are completely undermined or “Closing Time” where they could be replaced by any monster. Sometimes Moffat it seemed did go a bit too far in using the monsters again and again. What was even more annoying was the way in spite of all these monster appearances we didn’t get a single 11/Master story either. As you can see I think there are good and bad things in every Doctors era. Interestingly enough the era’s I have ranked among the highest are the era’s of my three favourite Doctors, Jon Pertwee, Tom Baker and Matt Smith. 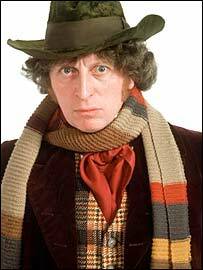 However the era I have ranked the highest is Tom Baker’s who is not my overall favourite which would be Jon Pertwee. Still I stand by my point that ranking the Doctors era and ranking a Doctor should not always be the same thing. Good analysis. I agree with almost all of your points. In another post (I think–sorry, I’m reading a few at a time), you talk about how weird 11 is and how straight 10 is. I think you back that up well here by noting their strengths, that while 10 is extremely successful at displaying great emotion, 11 belongs to a stranger world where hand-flapping and spinning replace the more traditional human forms of emotions. You made a similar point with 3 and 4 in this article, and I appreciated the parallel. I’d like to have seen 12’s time discussed here too–I realize we’re early into his world building at this point. Thanks again. Thanks yeah it is too early to tell a lot of things about 12 at this point. I don’t think 10 really became the tragic, put upon Doctor until the end of series 2. IMO Martha was the best companion for 10 as she was the most serious and it was at its darkest when she was with him. Hmm, never thought about Moff’s bringing together villains before.